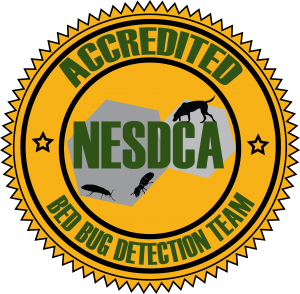 We provide exceptional quality independent bedbug inspections using National Entomology Scent Detection Canine Association (NESDCA) certified canine teams. Our canine teams go through extensive training at the best bed bug canine detection training facility in the US – J&K Canine Academy. When you hire K9 Bedbug Detection Services, you get one of the highest quality, highly trained K9 teams in the country. Our canines are trained to locate only live bedbugs and viable eggs, quickly and efficiently. We offer fast, quality, discreet bedbug detection services. We’re an independent bed bug inspection company, not a pest management company. We have no vested interest in finding bed bugs at your home or business. There is no extra work for us should we find an infestation at your location.